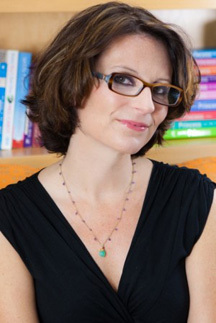 Meg Cabot is a #1 New York Times bestselling author of books for both adults and tweens/teens. There have been over 25 million copies of Meg’s nearly 80 published books sold in 38 countries. After working for ten years as an assistant residence hall director at New York University (an experience from which she occasionally draws inspiration for her best-selling Heather Wells mystery series), Meg wrote the Princess Diaries series, which was made into two hit movies by Disney. Meg’s most proud of the letters she’s received from fans thanking her for helping them to overcome their “dislike of reading. In The Boy is Back Reed Stewart thought he’d left all his small town troubles—including a broken heart—behind when he ditched tiny Bloomville, Indiana, ten years ago.. Then one tiny post on the Internet causes all of those troubles to return . . . with a vengeance. Becky Flowers has worked hard to build her successful senior relocation business, but she’s worked even harder to forget Reed Stewart ever existed. Meg’s “Boy” books are popular worldwide because of their “short chapters,” “realistic but romantic plots,” and “satisfying” endings. The “Boy” books are told in text, email, and journal format.